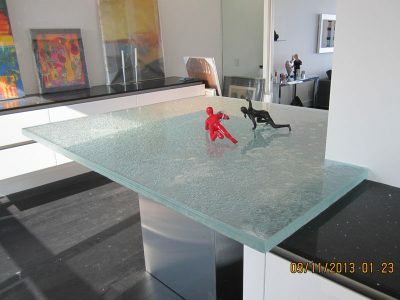 CBD Glass table tops have all same qualities as any of our glass countertops. They are unique and stylish, durable, and non-porous. You could use this for a dining room table as well as a coffee table, end table, console tables, or an office desk. 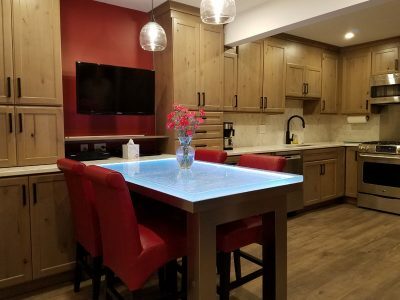 You can customize your table top to any size, style, color, and texture. 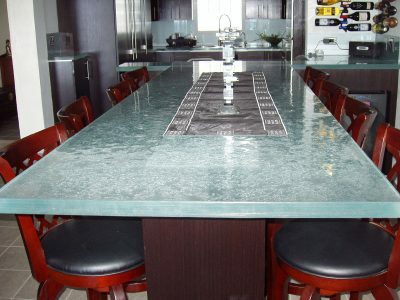 Your glass table top will the centre of attention at a dinner party. 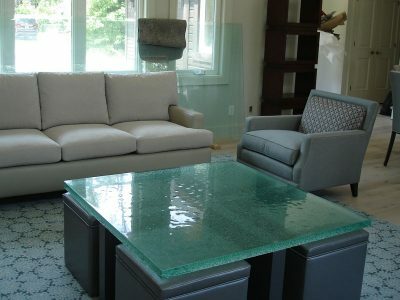 In the day light, the glass will look fantastic with the natural light flowing in the room. In the night time, it will shine under your bright lights inside of your home/office. 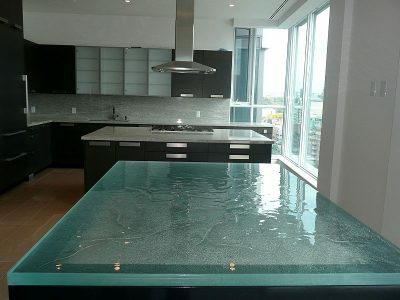 Using glass for your table top material has its perks, such as the fact that all glass is non-porous material. You do not have to worry about small spills as long as you don’t let them sink in for hours at a time. Easy clean up is always a positive when it comes to picking your table top. 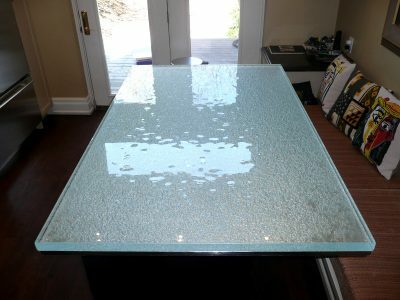 For tips on how to pack up your glass table top when moving, please take a look at our blog. 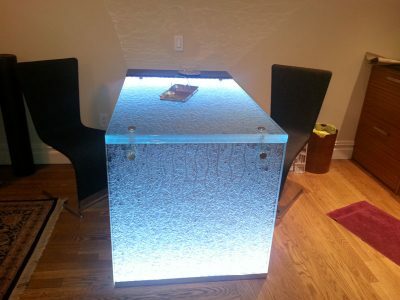 Just like any other CBD Product, your glass tabletop can be designed by you, and made by us. Just let us know all the specifications you like and we will create it for you to enjoy. 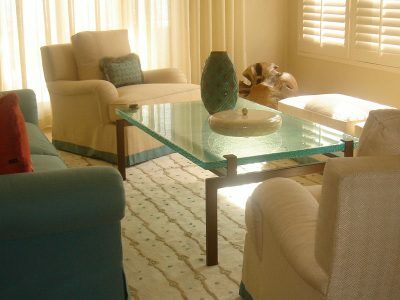 You can choose: shape, glass, thickness, color, design in general, glass table legs, or columns under the table top. The possibilities really are endless.